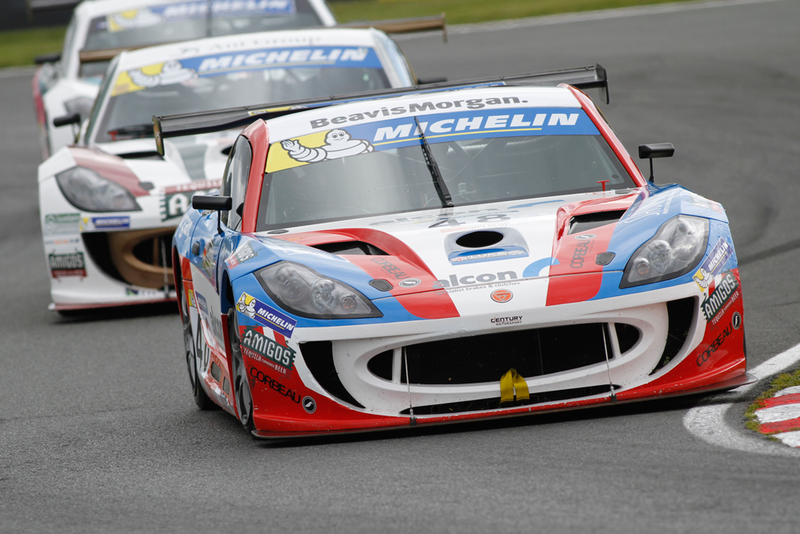 Century Motorsport secured a pair of podium finishes in the hands of championship contender Tom Oliphant during a hugely positive fourth meeting of the 2015 Michelin Ginetta GT4 Supercup season at Oulton Park. 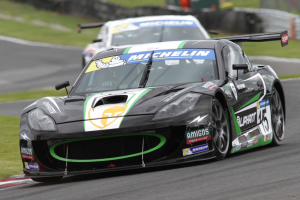 Oliphant secured his fifth and sixth podium finishes of the season around his home circuit, while Ollie Jackson made another step forward in the series as he followed his team-mate home for a pair of fourth place finishes. The meeting started in perfect fashion for Oliphant in Friday practice as a great day of running ended with him top of the timesheets by nearly half a second, filling him with confidence heading into the race weekend. Oliphant held provisional pole early in Saturday’s qualifying session, however rivals blocking him twice on fast laps during the crucial middle period of the session meant that despite improving his time late on, the lap of 1m 25.412s could only secure him fourth on the grid. A superb start to the opening race saw Oliphant storm around the outside of Will Burns through the first corner to take third place, a position he would comfortably maintain for the remainder of the encounter despite a dislodged bonnet forcing him to back off considerably in the closing stages. In the weekend’s second and final race, Oliphant impressively ran in third from lights-to-flag, pulling clear of the pack behind before putting championship leader Carl Breeze under considerable pressure over the final handful of laps, though he was unable to find a way through on the tight Oulton circuit. Ollie Jackson meanwhile headed to Cheshire buoyed by an upturn in performance at Thruxton last time out, and despite not testing at Oulton prior to the meeting, the former BTCC racer was able to slot straight into the competitive front pack in Friday practice. In qualifying, Jackson would improve on his Friday best by over four tenths of a second to take eighth on the grid. He wouldn’t stay there long in the opening race though, a tremendous first lap seeing him gain three places to settle in fifth. From there, he produced a composed drive to keep former British GT champion Michael Caine at arm’s length throughout the encounter, benefitting from a rival in front retiring to pick up his first top four finish of the campaign. It proved to be a similar story in the second race as well, with Jackson settling into fourth position from the off and maintaining a half a second gap throughout to complete his best weekend so far in his maiden Supercup campaign. For Osamu Kawashima meanwhile, only his second ever race meeting at Oulton Park produced his biggest challenge of the Supercup season to date as he took on a number of vastly more experienced rivals in the biggest and most competitive AM class field yet. 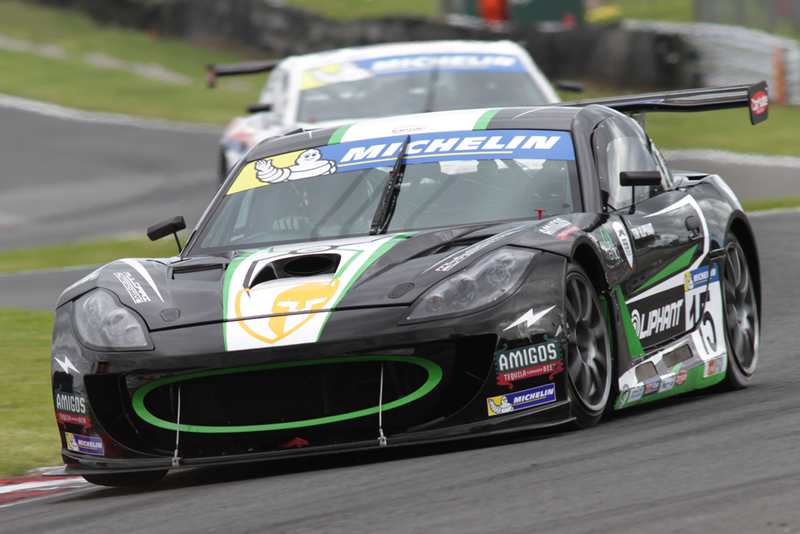 The Japanese racer rose to the challenge though, once again showing impressive progression across the race weekend. After getting crucial miles under his belt in practice, Kawashima knocked over a second off his time in qualifying to take sixth in class for the opening race. After maintaining that spot early in the race, Kawashima benefitted from an incident ahead to take a strong fourth in class at the flag. Unfortunately his second race ended on the first lap though after an over-ambitious move from a rival broke his G55’s suspension at the chicane. Despite that disappointment Kawashima remains a clear second in the AM class points, while in the overall standings Oliphant’s podium double has moved him back up to third place, while Jackson has closed the gap to the championship top six ahead of the visit to Croft next time out on June 27/28.